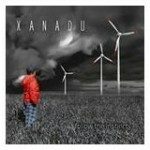 Share the post "Album review: XANADU – Follow The Instinct"
Ahhh… the Polish progressive rock runaway train still shows no sign of running out of steam. With excellent releases this year from the likes of Pinkroom and Riverside, here is the follow-up to Xanadu’s outstanding 2011 effort ‘The Last Sunrise’. ‘Follow The Instinct’ has progressed the band’s sound from ‘The Last Sunrise’ – still, thankfully with the band’s exemplary song structures to the fore, but taking it to a much heavier, denser place resulting in a very intense listening experience. The nearest touchstone for this demanding sound would be the more recent albums of Swedish progressive changelings Katatonia but, it has to be said, Xanadu are very much their own band. Yes, heavy prog is what’s on offer here, although the album kicks off with a beautifully cinematic piano-led instrumental ‘In’. It acts as a light prelude to the fiendish intensity of what follows, as the pounding beats and fervent guitar of ‘Shape Of Lies’ establishes the template for the powerful complexity of the album. Highlights abound as the band’s single-minded take on the genre produces a raft of ‘wow’ moments. Much of this is due to the superb twin guitar work of Janusz Glon and Przemek Betański which threads its way through the multi-faceted track list offering the deftest touches where required juxtaposed with the occasional sledgehammer rifferama. And a special mention in dispatches to vocalist Krzysztof Borek whose accentless English vocals are perfectly attuned to the band’s sound. As I mentioned, highlights everywhere but the tracks ‘Escape’ and ‘Transistor Night’ do push themselves forward as the best of a great bunch – although similar, they provide the best examples of the band’s utilisation of light and shade. Yet another great album from Polish progressive rockers – the runaway train continues, and as long as bands like Xanadu keep stoking the fire we’re in for an exciting ride. This entry was posted in ALBUM REVIEWS, ALBUM REVIEWS (Mobile), All Posts and tagged Follow The Instinct, Poland, Progressive Rock, review, Xanadu. Bookmark the permalink.